As previously mentioned, there are more and more choices for gluten free food in grocery stores and at online stores. The selection has really come a long way. Do you want to purchase GF food online? Go to our GF Food Shopping Page NOW! These come frozen and he heats them in a the microwave. We buy these at our local supermarket. The donuts are made by Kinnikinnick and the bagels are made by Glutino. Both products come frozen and we will keep them in the refridgerator. The cereal is a more recent product. It is a chex cereal and it is made by General Mills. This cereal is actually in the main cereal isle. We have noticed more and more gluten free food showing up in the main grocery isles versus in a seperate GF section. Another sign that there is more and more awareness about Celiac Disease. The bread is made by Kinninnick. It is a rice bread. The only problem with rice bread is it is much more brittle than wheat bread. Sometimes he will toast the bread because heating it up binds it and it reduces the brittleness. Other items he will take to school are potato chips, fruit or sometimes leftovers from prior dinners. Do you have a question about GF food? 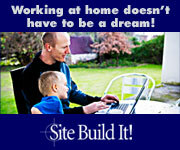 Click here to ASK! Speaking of bread crumbs!! Our family now uses gluten free bread crumbs instead of wheat based bread crumbs. Because of Nick's gluten free diet, we now put gluten free bread crumbs on meats and even in meatballs. One of Nick's favorite dishes is pasta! When we found out about his gluten intolerance, he thought he may never eat pasta again! Well, thankfully rice is a pasta and there are many pastas made with rice flour. One brand of gluten free pasta is made by Tinkyada. Another popular dinner item that Nick has recently started to eat are frozen enchiladas from Amy's Kitchen. Amy's sells a large variety of gluten free pre-made dinners and these can be purchased online or in local stores. More of Nick's favorite dinner items are gluten free macaroni and cheese and pizza. We buy frozen pizza shells that are made from rice flour and he justs adds pizza sauce like Healthy Choice brand(no gluten) and shredded cheese. Betty Crocker has come out with some really nice cake mixes. Check these out! Finally, there are many different gluten free snack items on the market. Some of Nick's favorites are gluten free pretzels, cheese crackers and cookies. All these foods above are great however, in order to prepare these foods, it is essential that we maintain a gluten free kitchen for Nick. This is extremely important to avoid the possibility of cross contamination of gluten free food! Click here to see how we maintain a gluten free kitchen to avoid cross contamination. 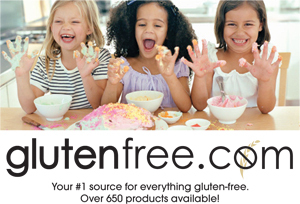 Do you have favorite gluten free products? Share them with us! What are the brands? Why do you like them? Upload a photo of the item/s.